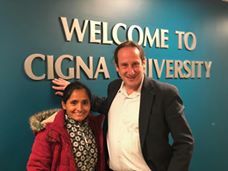 Women Peace Maker program, Institute for Peace and Justice, San Diego invited Ms.Radha Paudel, Diretcor of Radha Paudel Foundation for talk at Cigna University, Connecticut, USA. 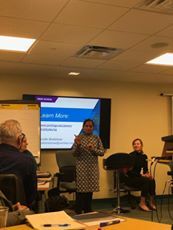 She shared her ways of use of emotional intelligence in her work specially for leading the uncertainity and crisis. It was so inspiring and powerful as participants described in their post talk evaluation. We encourage you to invite us to share same and more if you are interested.